Leslie Zieren is an experienced trainer; loss prevention specialist; and a licensed AV-rated attorney with extensive expertise in workplace risk management, litigation, and investigations. Ms. Zieren’s training experience includes creating and delivering both live, online, and on-demand training programs for employers, including Fortune 500 and small businesses; school and government employers; and religious and other not-for-profit organizations. 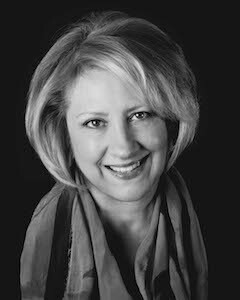 Ms. Zieren has more than 30 years experience in the legal field, much of it addressing workplace risks. She served more than eight years as a specially-appointed and trained Adjunct Settlement Judge for the federal court in Tulsa, Oklahoma, conducting settlement conferences for pending employer-employee lawsuits. At the University of Tulsa College of Law, she was an adjunct professor of law for three years, teaching mediation, alternative dispute resolution, and client relations classes. Ms. Zieren has nearly eight years of experience as a senior law clerk for state appellate and federal district judges. A graduate of the University of Tulsa College of Law, Ms. Zieren is a member in good standing of the following Bar Associations: Oklahoma (since 1982), Colorado (since 1990), and California (since 2008).